Femi Koleoso knows the power of rhythm. When you catch the drummer live it’s clear that it surges through him, a life force, an energy distilled down into a pulse, that sublime repetition providing a bedrock for whatever comes on top. When Clash catches the musician he’s taking a break from the road. 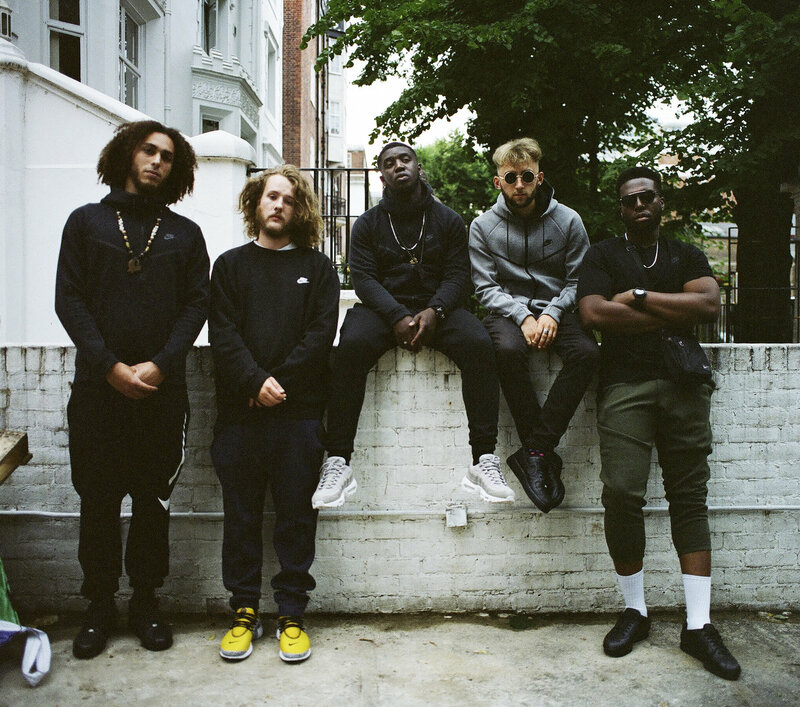 One of the creative forces behind sought-after London jazz outfit Ezra Collective, Femi is also the long-standing drummer in Jorja Smith’s live group, watching the singer’s rise at first hand. It’s been an incredibly natural process, Clash observes; nothing about Jorja’s rise has felt artificial. I want to go out and do justice to the music with all of my heart. That’s my thing. There’s an intimate relationship between the voice and the beat; the melody line to the kick drum is the skewer of any live performance, a conversation in dynamics that centres the DNA of any song. The audiences definitely have expanded... There are no limits. There’s plenty of room for solos in Ezra Collective. The group’s free-wheeling collective veers from afrobeat to hard bop to cosmic visions of Sun Ra. Live, they’re a force to be reckoned with – one of the most exciting experiences in the much-mythologised London jazz resurgence, their sheer unbridled creativity is already renowned far beyond the jazz community. Ezra Collective’s most recent release was part of Brownswood’s We Out Here compilation, a stunning jazz event that linked some of the country’s most ambitious musicians. Overseen by Shabaka Hutchings, the friendly competition seemed to push each group further, supplying some of their finest music in the process. At heart, what’s happening is a London thing, a London sound; the city’s many flavours, colours, and languages being expressed in a famously free-form arts arena. At the centre of this fresh energy in London’s jazz scene is a small crew of drummers, future rhythm machines casting out new ideas – Yussef Dayes, Moses Boyd, and of course Femi himself. Watching Ezra Collective live is a discourse in rhythm, the sheer physicality of sound pushing the audience connection. It’s not just sheer physicality that makes Ezra Collective so impressive, though; there’s a message to the musicality. Last year’s ‘Juan Pablo: The Philosopher’ picked up Best Album at the Worldwide awards, and it contains a version of Sun Ra’s ‘Space Is The Place’, an audacious take on a truly magical composition. I’m a super fan of Simz, I’m a fan so I was so honoured when the call came. Ezra Collective’s next challenge is one of London’s most historic venues: Little Simz has asked the group to play her specially curated bill at the Roundhouse. It’s a challenge they’re eager to accept, not only to further expose their music, but also to pay tribute to the enormously talented MC. Little Simz: Welcome To Wonderland II hits the Roundhouse, London on March 3rd - catch Ezra Collective there, or online.